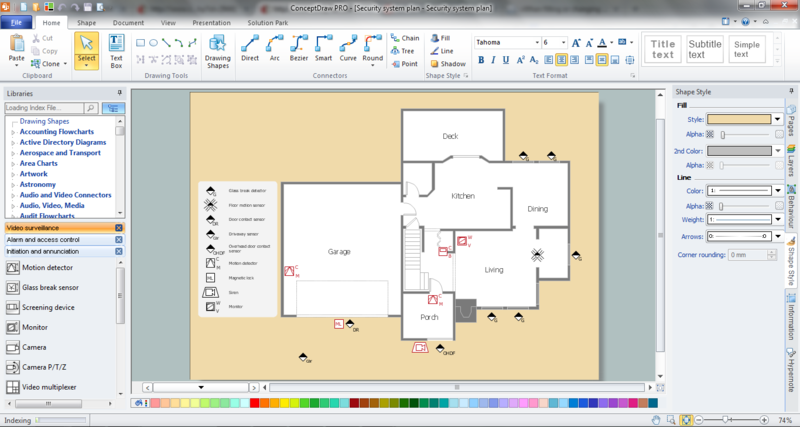 ConceptDraw DIAGRAM diagramming and vector drawing software extended with Security and Access Plans Solution from the Building Plans Area of ConceptDraw Solution Park is a powerful software for fast and easy drawing professional looking Physical Security Plan. The process of Physical Security Plan designing in ConceptDraw DIAGRAM now is very simple thanks to the numerous vector objects created by professional designers and grouped in 3 libraries. 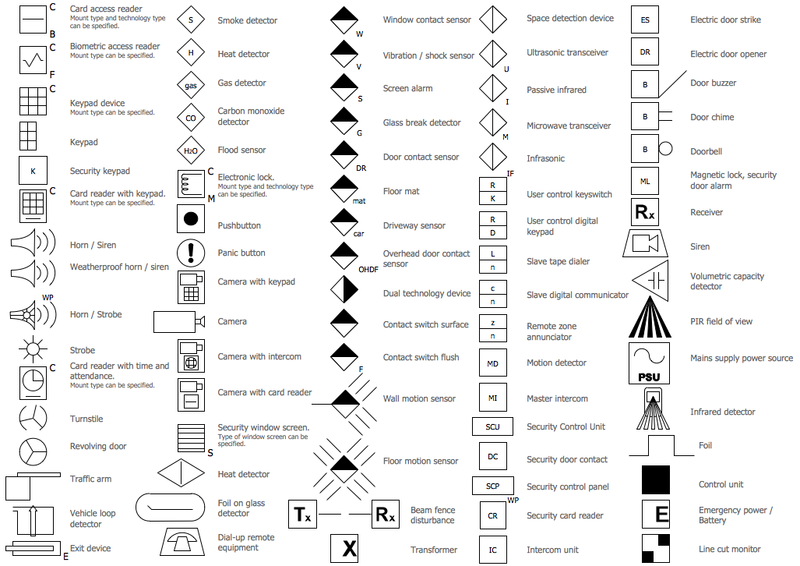 Alarm and Access Control — contains 80 symbols contains 80 symbols of digital proximity equipment, locking hardware, and access control equipment. 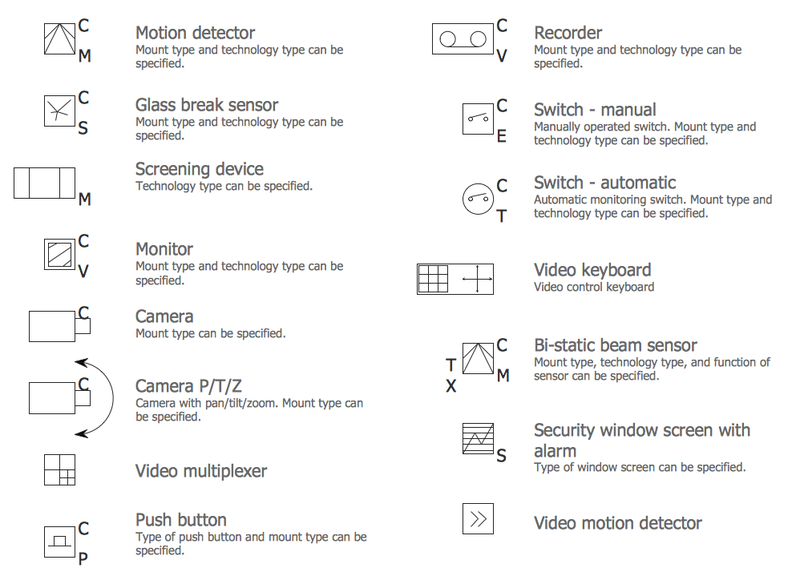 Initiation and Annunciation — contains 9 symbols of Fire Alarm Control Panel (FACP) or Fire Alarm Control Unit (FACU) elements, triggering devices, audible alarm systems, timers, security control equipment, and recording devices. Video Surveillance — contains 15 symbols of electronic closed-circuit television (CCTV) equipment, digital video cameras and recording devices, covert video equipment for drawing the layout plans of security and access control systems, video surveillance and security control monitoring systems. 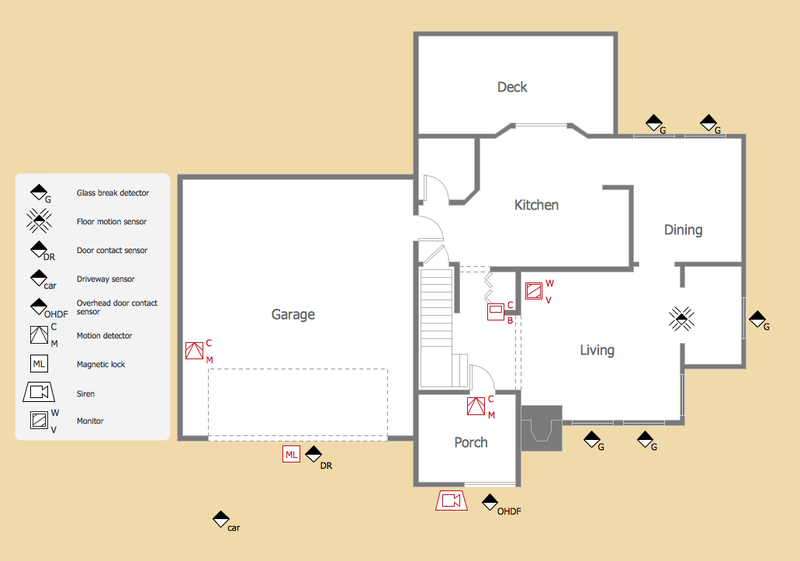 All what you need is simply drag the desired objects from the libraries on your plan and correctly arrange them. You can also add the legend to make your plan more comprehensible. And of course Security and Access Plans Solution includes the ready templates and samples which are the good examples of successful security plans. This sample was created in ConceptDraw DIAGRAM using the tools of Security and Access Plans Solution. It shows the detailed physical security plan. An experienced user spent 15 minutes creating this sample. Use the Security and Access Plans Solution for ConceptDraw DIAGRAM software to create your own professional looking security and access plans of any complexity quick, easy and effective, and then successfully use them. 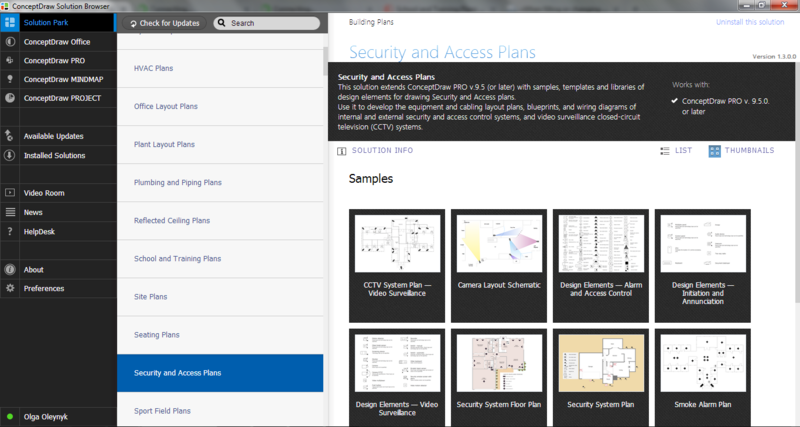 The physical security plan designed with ConceptDraw DIAGRAM is a vector graphic document and is available for reviewing, modifying, converting to a variety of formats (image, HTML, PDF file, MS PowerPoint Presentation, Adobe Flash or MS Visio), printing and send via e-mail in one moment. 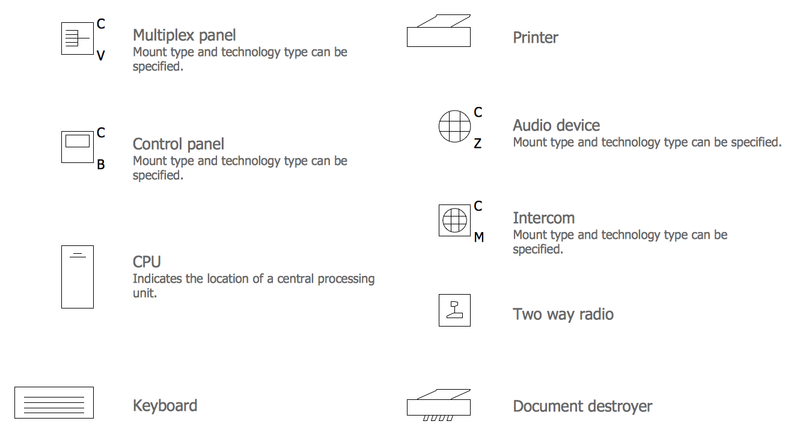 The ConceptDraw vector stencils library "Cisco Security" contains 16 symbols of security devices and equipment for drawing the computer network diagrams using the ConceptDraw DIAGRAM v12 diagramming and vector drawing software.